The world of gaming remains one of the fastest growing and highly connected communities on the planet. Gamers of every age, from around the world, regularly meet in online spaces to fight it out and claim the number one ranking across multiple games including, global phenomena Fortnight, Counter Strike: Global Offensive, Rocket League and League of Legends. FACEIT is the world's leading competitive gaming platform with over 8 million users. The platform is used by players around the world to compete in online multiplayer games. 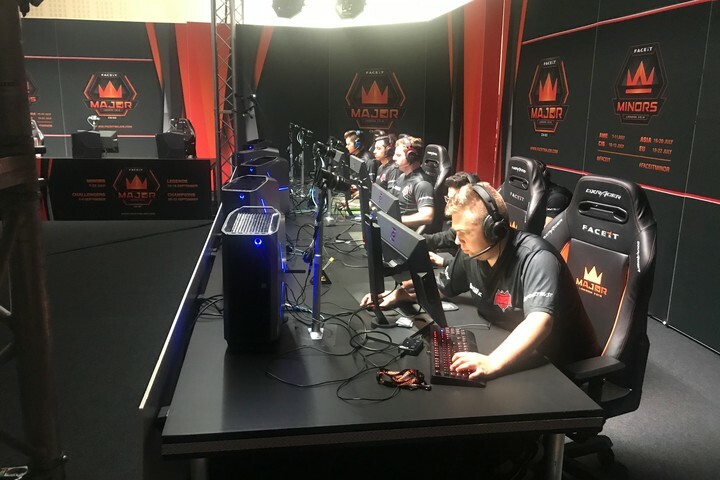 In addition though, the team are also the organisers behind the 'FACEIT London Major', the most prestigious eSports tournament to take place in the UK and is to the world of gaming what the Premier League is to football. FACEIT sees the very best competing against the very best; professional gamers with entourages that would rival those of sports stars of every kind. Billions follow these megastars on YouTube and beyond, the FACEIT London Major is truly international. eSports tournaments bring online communities into a live environment, and allow a global marketplace to connect in a central location; for the FACEIT London Major, this was Twickenham Stadium. The format of the event involved the arrival of globally-recognised gaming professionals to the stadium to play one of the games, in this case it was 'Counter Strike: Global Offensive'. The Minors was the first set of qualifiers with 32 professional teams from across the globe competing for a spot in the Major and the chance to win the prize of $1 million. The quality and convenience of the facilities at the stadium and most importantly the IT infrastructure meant that Twickenham was also chosen to be the destination for the two final qualifying tournaments: the Challengers and Legends stages. For Twickenham Stadium, the basic needs were simple; to create the right environment for 'talent' - professional players and commentators. This meant supplying round-the-clock access to technical help, food, drink and rooms. The Minors lasted for three weeks with some days lasting for 12-hours, and catering for different time zones with fans watching in from multiple regions, from Asia to North America. These facilities sat on top of a multitude of connection and AV requirements that enabled live broadcasts for fans around the world to tune in and watch their favourite teams, and the distribution of these programmes to billions around the world. The stadium provided a broadcast gallery for production to run and monitor the live stream, player practise rooms which were available to players 24/7, two media rooms, a player and talent lounge, a broadcast suite for commentators, a VT suite to generate continuous content in between games and the venue's Live Room, where players would compete in front of cameras streaming the action. Players flew in from around the world with entourages and fan followers. Access to the site was 24 hours, as players practise upwards of 8 hours a day so the practise area, food and refreshments had to be equally as accessible. To accommodate this international feeling, Twickenham even created bespoke menus incorporating different global cuisines throughout the tournament. The players' lounge included a bar, arcade games, chill out areas and energy snacks to keep levels high, while the action itself took place in well-draped, cooled areas for the often eight hour stretches the gamers would be taking on. The broadcast gallery was by far the most populated zone with over 36 screens connected together above over 20 editors at any one point during the week. This zone connected to interview rooms and was a short walk away from the players' lounge. The world of gaming offers a massive opportunity to the meetings and events industry, it is an online community that gets value from live events and forums. Already we are seeing the sector contribute new and exciting events to the industry and open it up to a completely new market. Through working with FACEIT, Twickenham played host to one of the biggest eSports tournaments on the planet, and got the chance to facilitate a unique global event run superbly by ambitious organisers.